Music Maxi Poster: Get the Bieber fever with this excellent maxi poster featuring the Canadian heart-throb singing live on stage in this excellent montage. 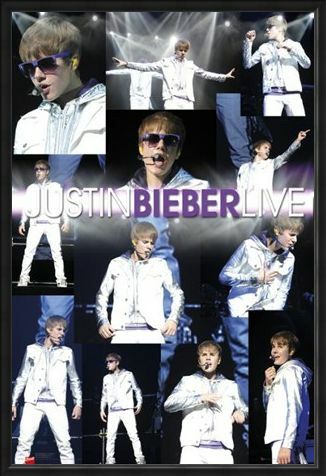 With the bright white lights of the stage shining down on his white jacket, Bieber puts on his purple shades as he sings his heart out to the adoring crowd in front of him. Having worked with Chris Brown, Ludacris and Usher as well as many more big names, Justin Bieber has turned into one of the biggest names in the 21st century music industry. 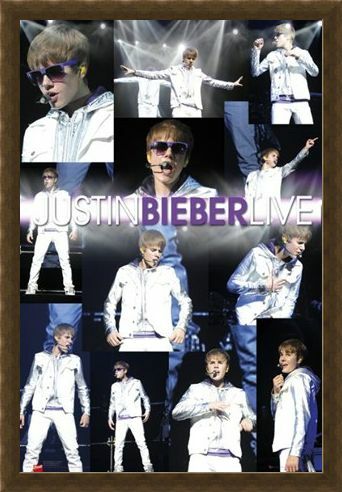 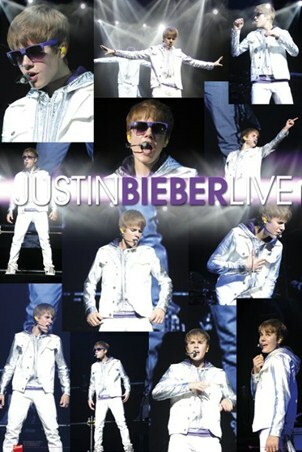 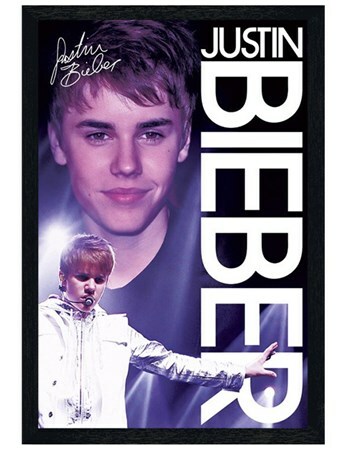 Featuring twelve gorgeous photographs of Bieber singing live on tour, this maxi poster is a must have for fans of the talented young singer.